This 360-degree mop, is less of a mop and of more a multi-surface cleaning workhorse. 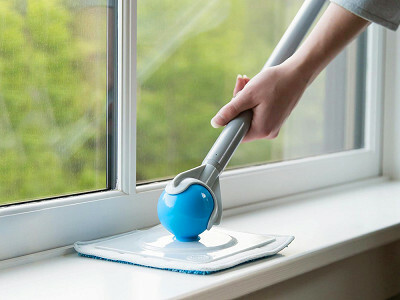 Duop has a quickball joint that connects the extendable handle to different, interchangeable cleaning heads. The design turns every which way to let you access tight spots and out-of-the-way areas (baseboards, crown molding, and high windows). 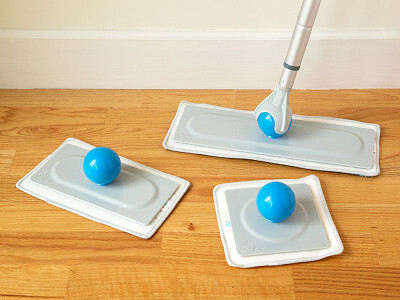 There are different microfiber pads for different cleaning endeavors, like dusting, cleaning glass, or scrubbing tiles. When a pad gets dirty, peel it off and toss it in the wash. Each one will last for up to 100 washes. A big reason this more-than-a-mop design is so versatile is that Duop’s team asked professional cleaners to weigh in. 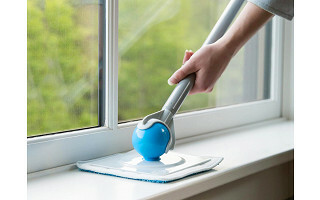 Depending on the cleaning task at hand, you can leave the handle on or take it off to use the head as a handheld scrubber or duster. And because the mop is self-standing, you don’t have to hang it or prop it up. 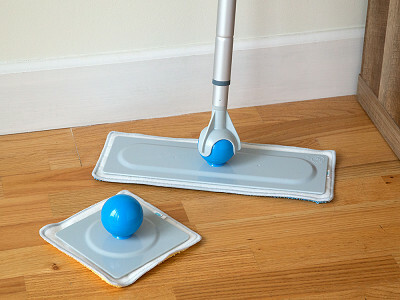 Duop’s ball-and-joint design—coupled with its reusable microfiber pads—makes it easy to check off all your cleaning chores (floor to ceiling) in one go. How do I extend the handle? Twist the handle counterclockwise and extend to desired height. To lock in the height, turn the handle clockwise. How do I pop the cleaning head out of the handle? 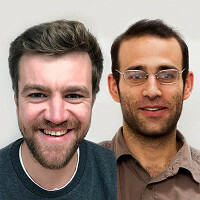 This can be done in a couple of ways. The easiest way is to place your foot on the cleaning head and pull up on the handle to release the quickball. You can also grab the cleaning head and pull it out, whatever is most comfortable. When I ordered extra cleaning pads the colors are different from what came in the set, are these pads different? The cleaning pads are exactly the same, the only difference is the color. How do I attach the pads to the cleaning heads? The pads easily adhere to the velcro on the cleaning heads. Simply press the white side of the pad to the underside of the cleaning head. 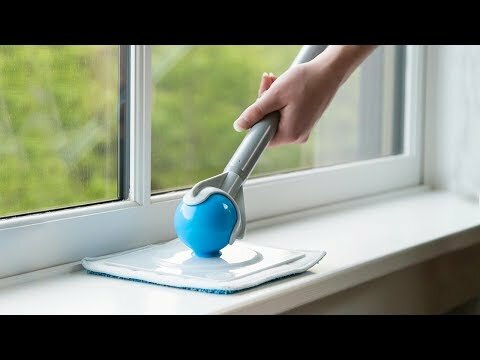 What cleaning solutions should I used with Duop? The cleaning/dusting and scrubbing pads can be used damp or dry. The glass pads should be used damp. For damp cleaning, use the regular cleaning solutions that you would use for the task at hand. The cleaning pads also work great with just water. How many times can I reuse the pads? The pads can be washed and reused up to 100 times. The microfiber cleaning pads should be hand or machine washed on medium temperature and hung to dry. Do not wash with chlorine bleach or fabric softener.